The Famous Airport Transfer Service in Gatwick – Transportive Blog | Stansted Airport Transfer Service. Apparently, Gatwick Airport is the busiest airport in the UK. Thus, Luxury airport transfer service providers will have to function remarkably. Here, you can look for various transfers that can provide you a safe and convenient drive. You may look for the public vehicle like trains and buses. However, they will take a lot of time and can be very crowded. Airport cab or taxi can be a solution to this as it will neither be crowded nor will take extra time. However, it will not guarantee you privacy with on time reach at destination. The moment you step out of the airport you find a number of transports looking for you to provide you services. Hiring a private service can be risky for you. Hence it is a rather better idea to go for a licensed private car hire company. They have professional skills and provide you exceptional services. You can make advance booking for their services online or on the smartphone. Before doing so, it is highly recommended to have a good online research, so that you get the best deal. Transportive is one of the most reliable and trusted airport transfer service that has been enjoying outstanding customer responses over the years. The company does not have any hidden charges and works on very honest principles. The prices for the routes of travel areas are fixed and extra charges are properly disclosed. The Bookings will be done through the phone as they provide a 24-hour telephonic support and quick reservation procedure. The payment method is also very convenient and quick. The luxury transport company provides many services like Airport Transfers, Events chauffeur driven cars and various roadshows transfer services. 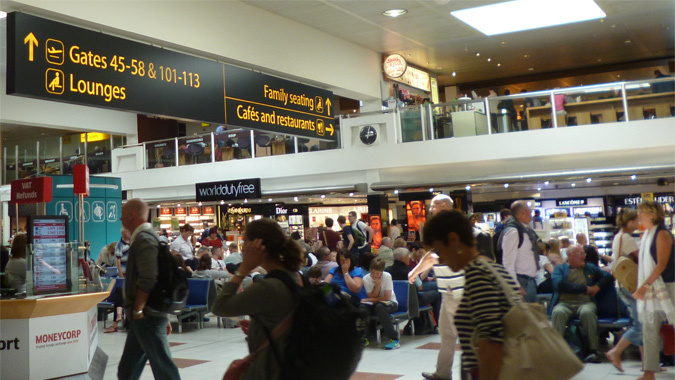 The airports that are covered by it also include Heathrow Airport –– Stansted Airport – Luton Airport – City Airport Cambridge Airport – Biggin Hill Airport – Farnborough Airport – Northolt Airport – Southend Airport, London City, etc. main cruise ports and major cities of UK are also covered. The company provides high-class Mercedes services to and from London airport. Not only this, it monitors flight landing times. Now you do not have to worry about the flight delays or early arrivals. The requested timings are adjusted subsequently. It has a satellite navigation system that provides details of the shortest route to reach the destination as soon as possible. The service is always ready and waiting for your pickup. It will reach anywhere in the UK where you are in? While I you are traveling for the important time you will need a good transport with an affordable price. Its luxury chauffeur service is best for business and domestic purpose. All travelers demanded highly-trained, street smart, professional and friendly drivers, therefore, they can arrive their destination safely on time. The company gives various modern vehicles available at the airport. Just say what to need to inform them and have selected your transportation needs. Luxury Mercedes E-Class, Mercedes s-Class, and Mercedes v-Class all executive transport is ready for every situation. Thus, Transportive airport Transfer Service is the most trusted, reliable safe and secure group. It provides high-quality services in a friendly atmosphere with punctuality. This entry was posted in Airport transfers, Gatwick Airport by protransuser. Bookmark the permalink.